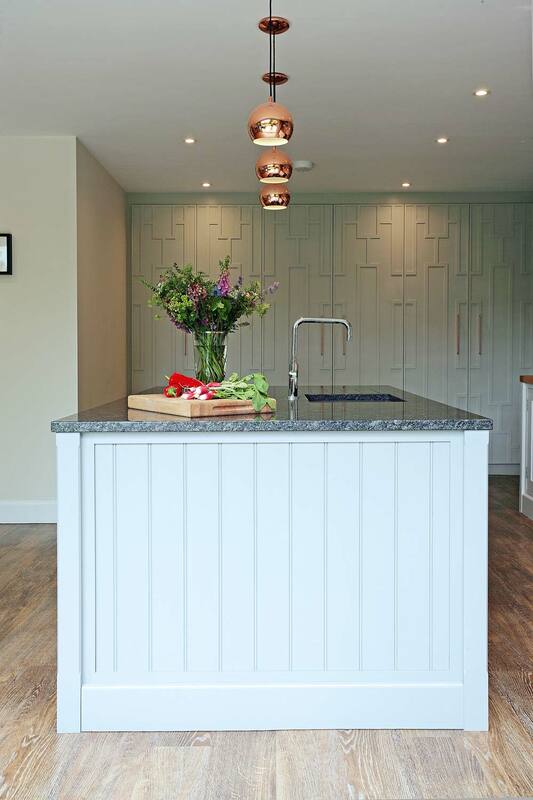 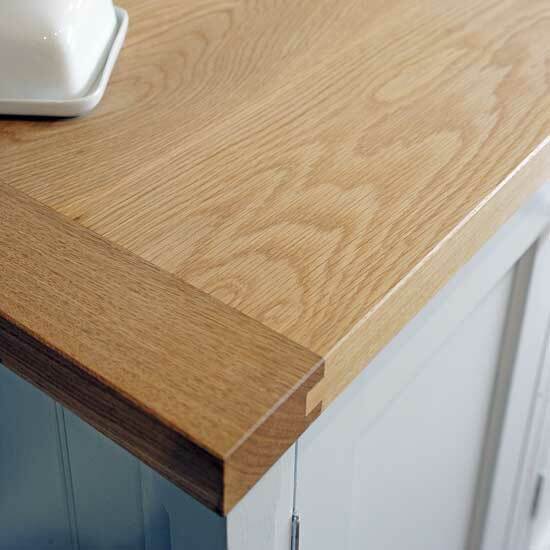 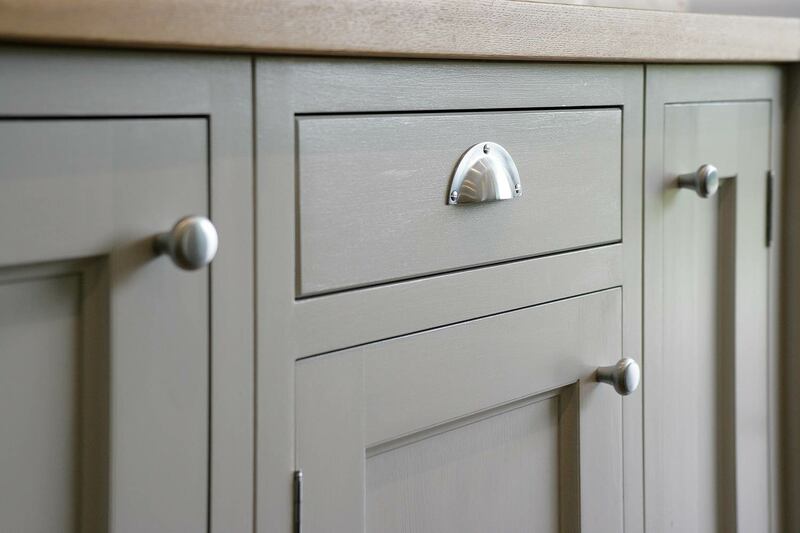 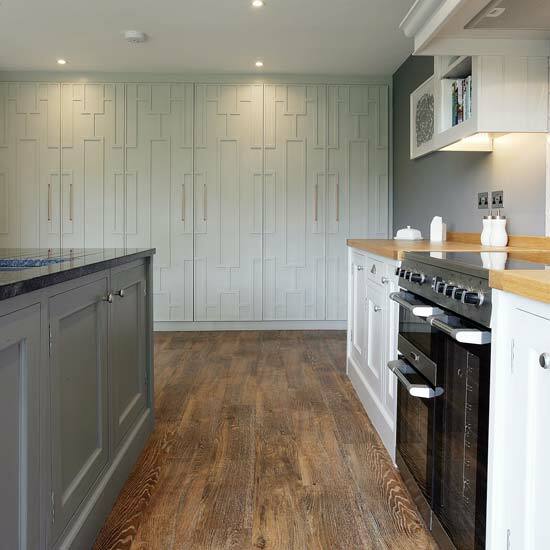 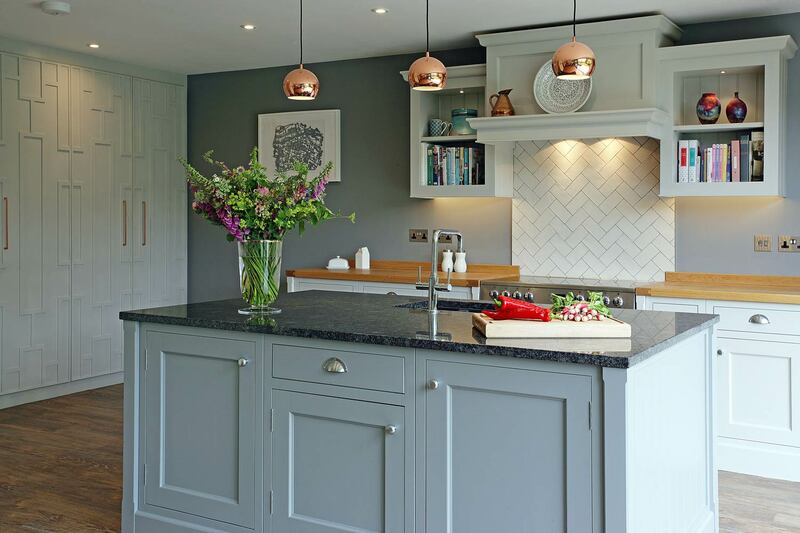 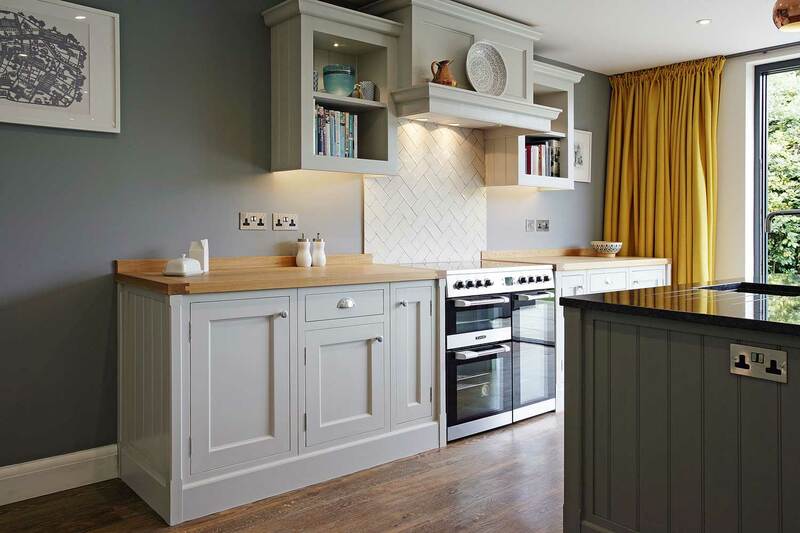 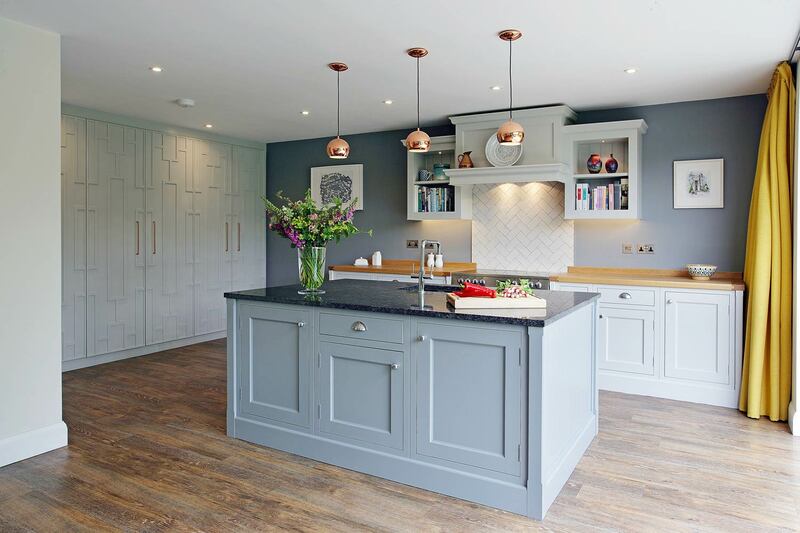 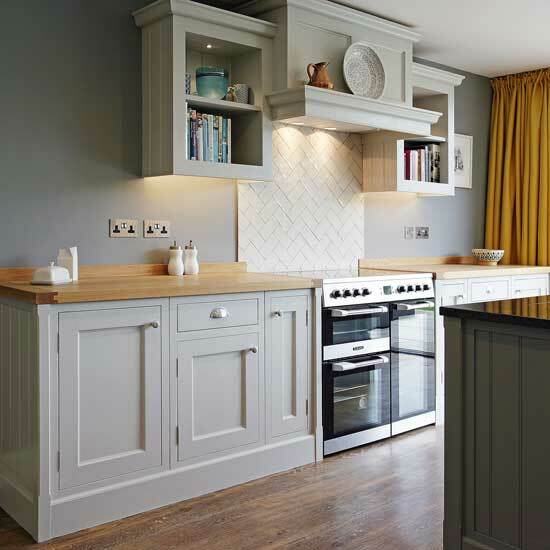 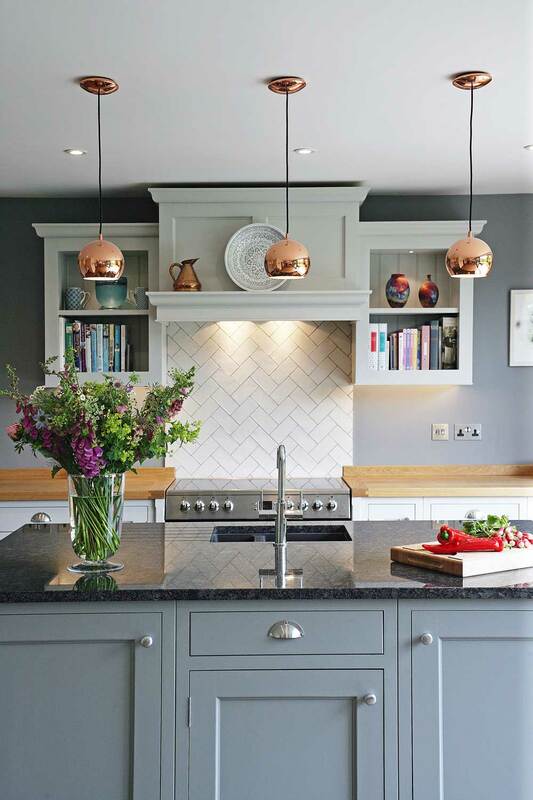 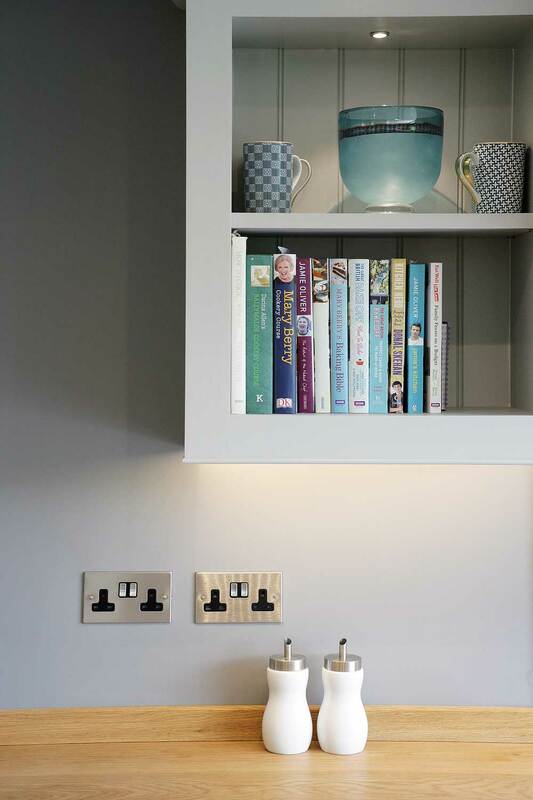 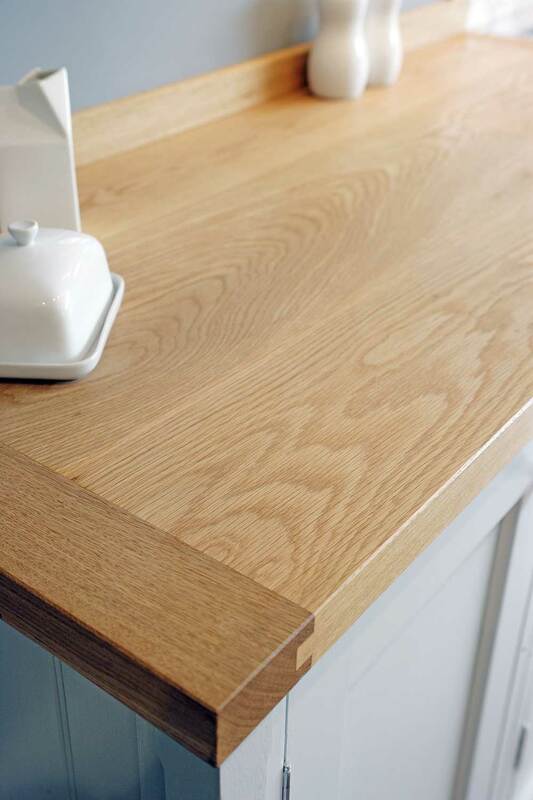 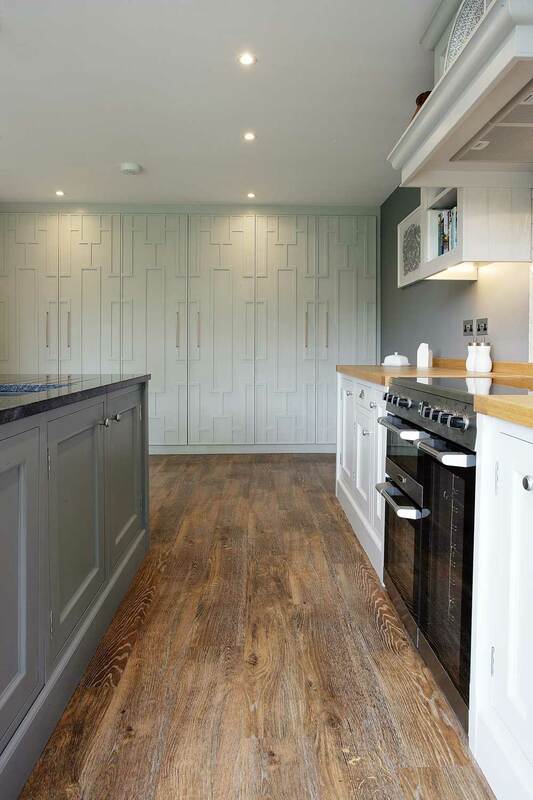 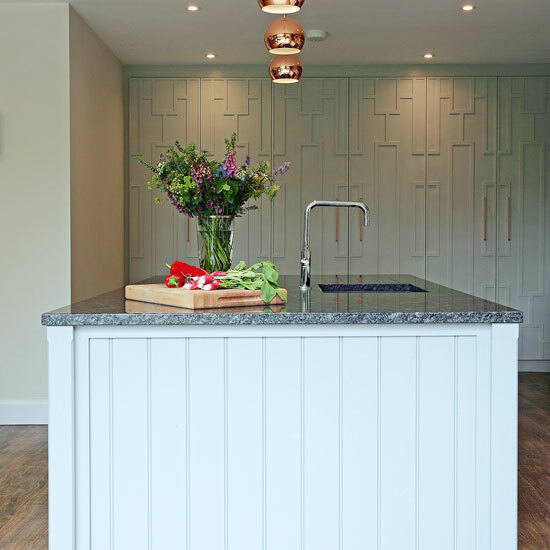 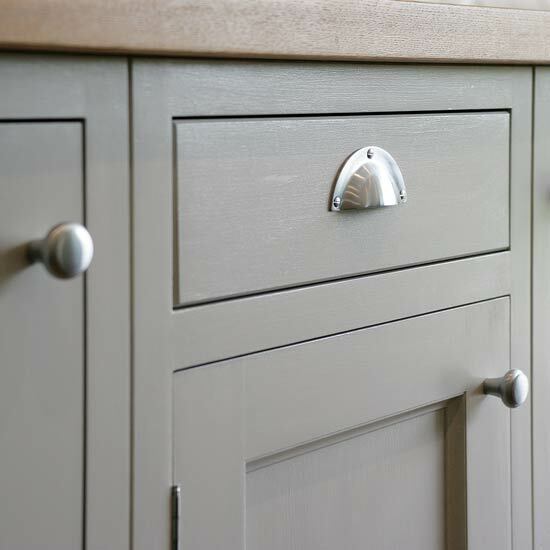 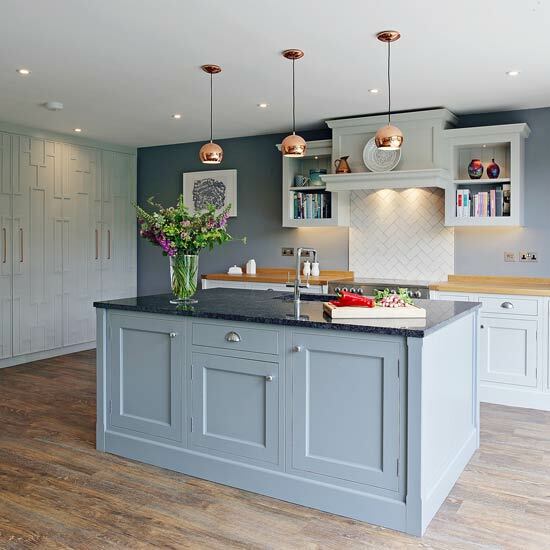 The Abinger Kitchen is a one off, bespoke kitchen for a young family creating their dream home. 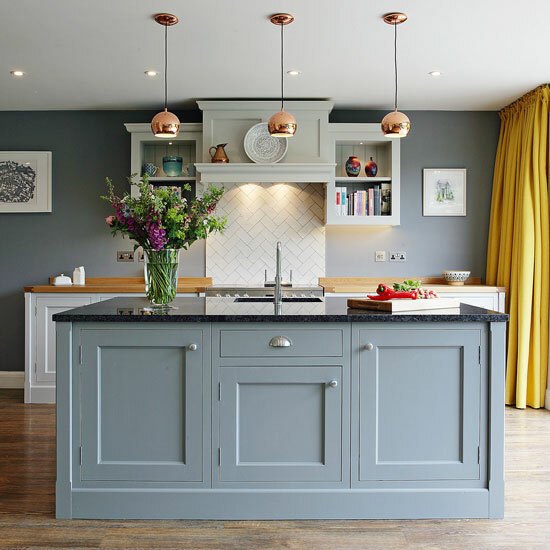 Their renovations included a huge extension designed to form a kitchen space where they could enjoy time together as a family, to cook but also be busy with their children doing arts, crafts, lego & homework. 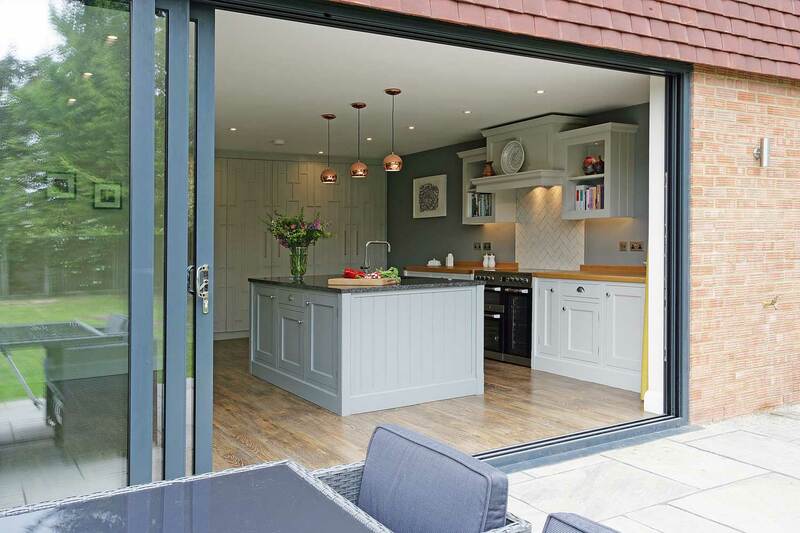 With full height sliding doors, come rain or shine they wanted to feel connected to their garden, so they can prep food with an eye on the children zooming up and down on the patio on their scooters or singing on the swings. 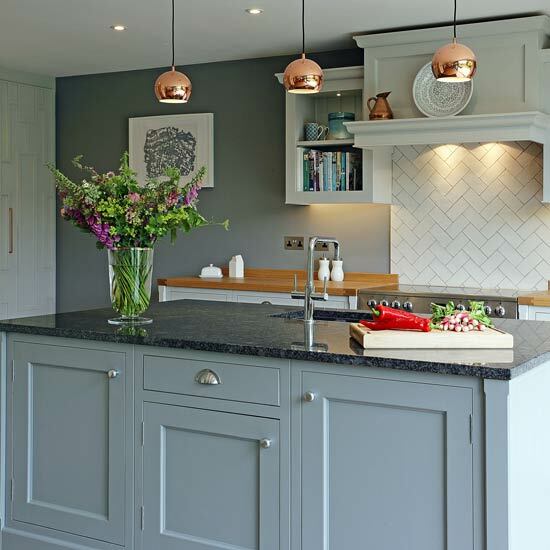 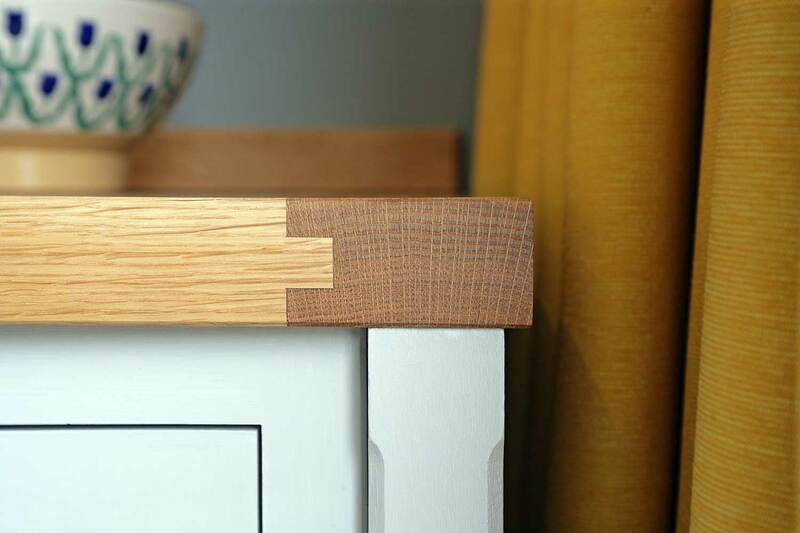 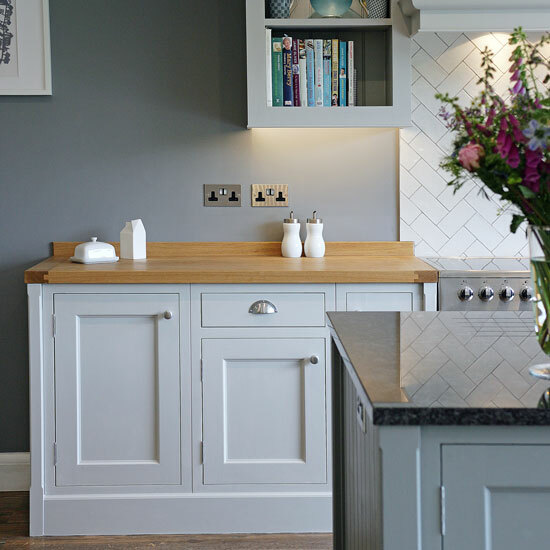 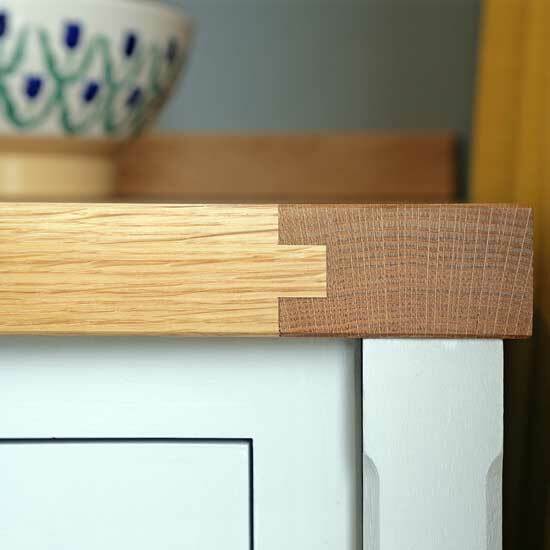 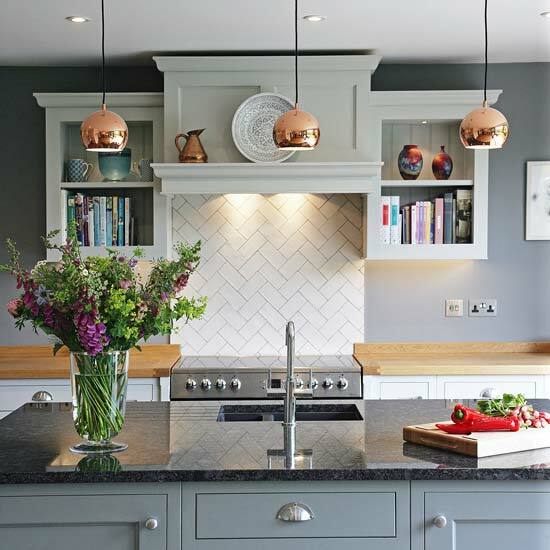 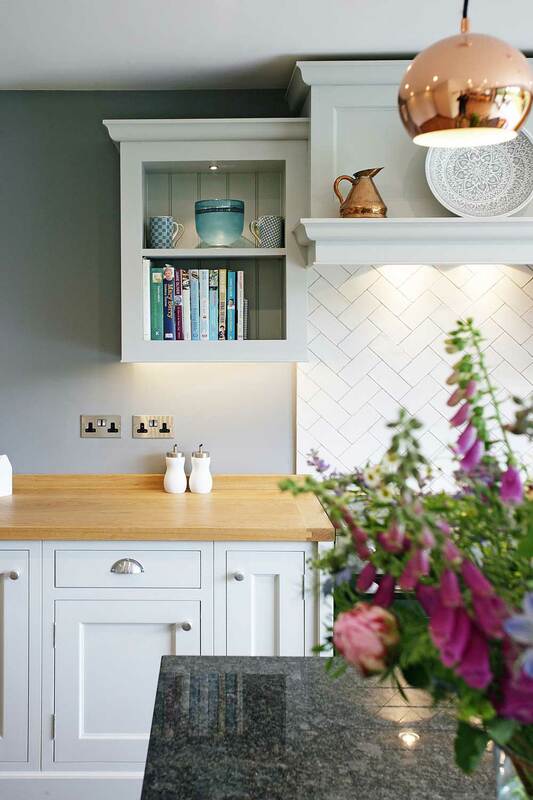 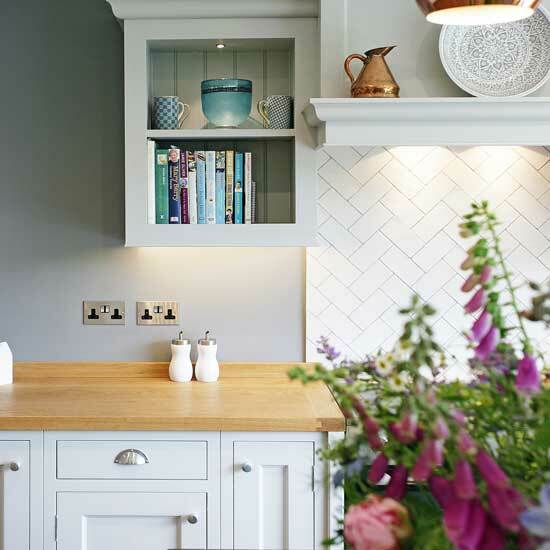 Having grown up around their own beautiful wooden family kitchen tables, they knew they wanted a handmade kitchen - solid, traditionally made and built to last - but they also wanted to make the most of the opportunity by commissioning something unique. 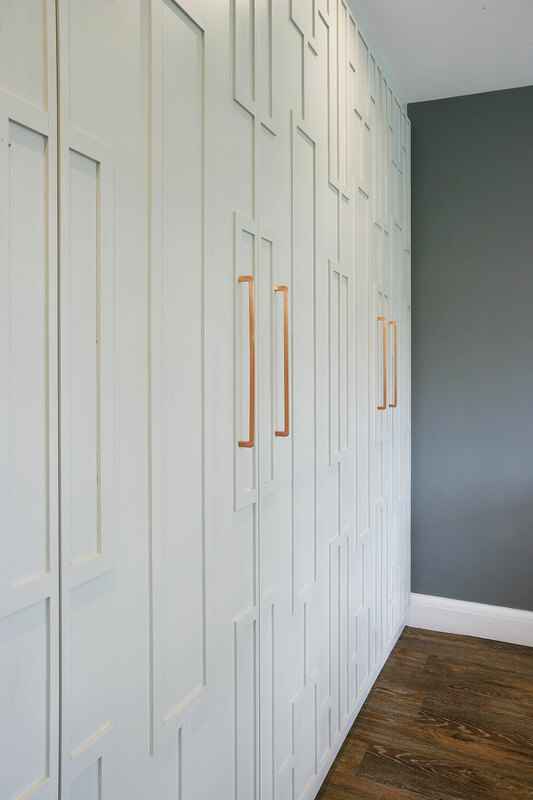 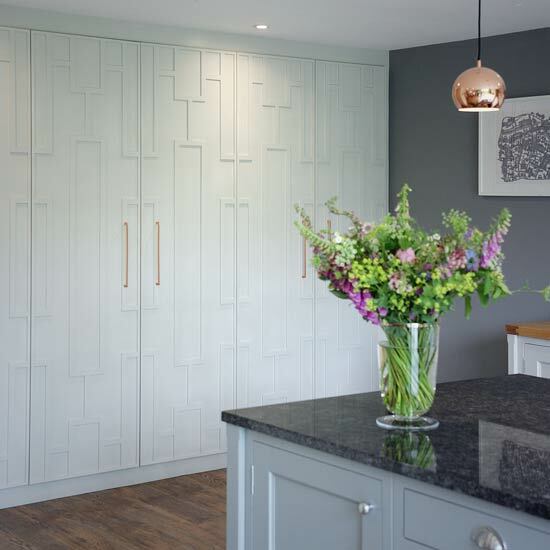 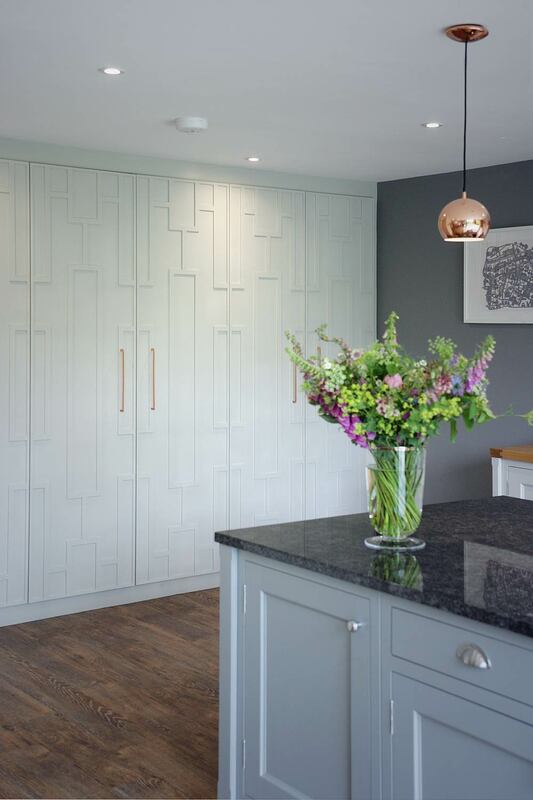 The family wanted a wow factor, so we designed a feature wall with bespoke patterned doors inspired by beautiful artwork already in their home. 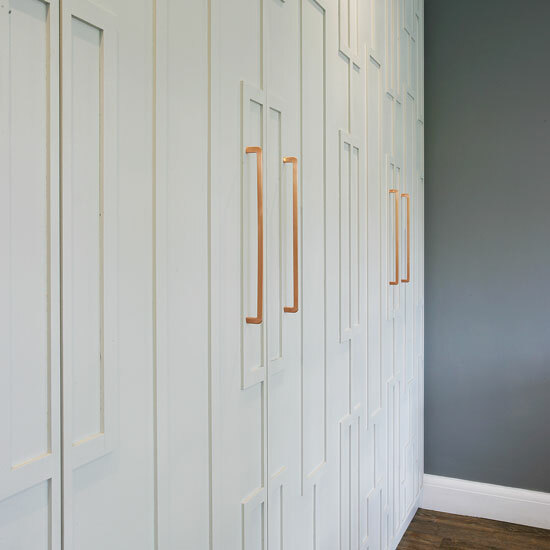 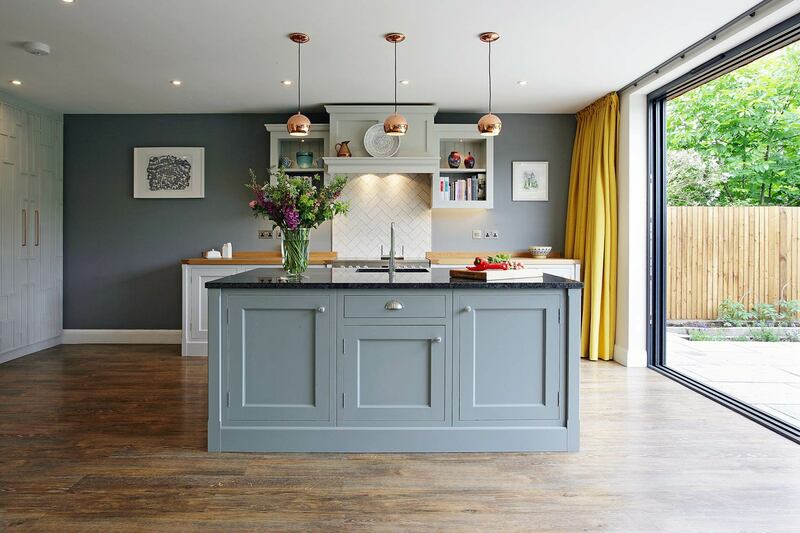 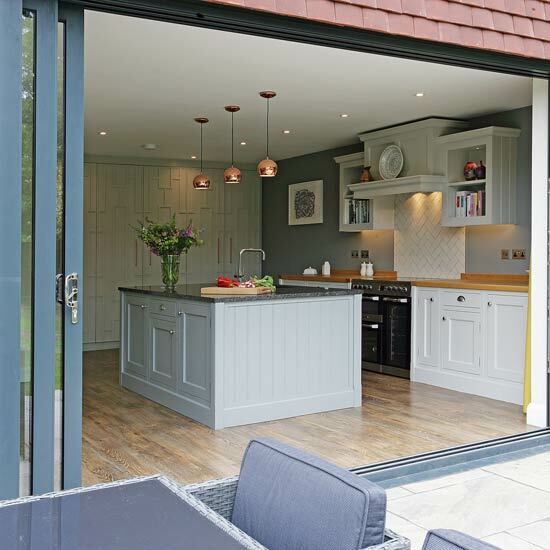 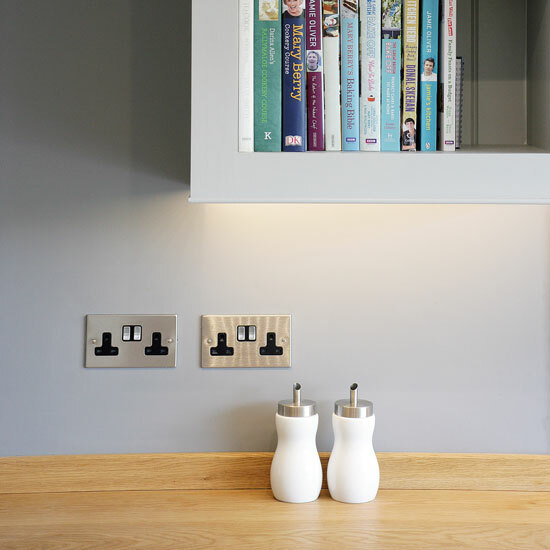 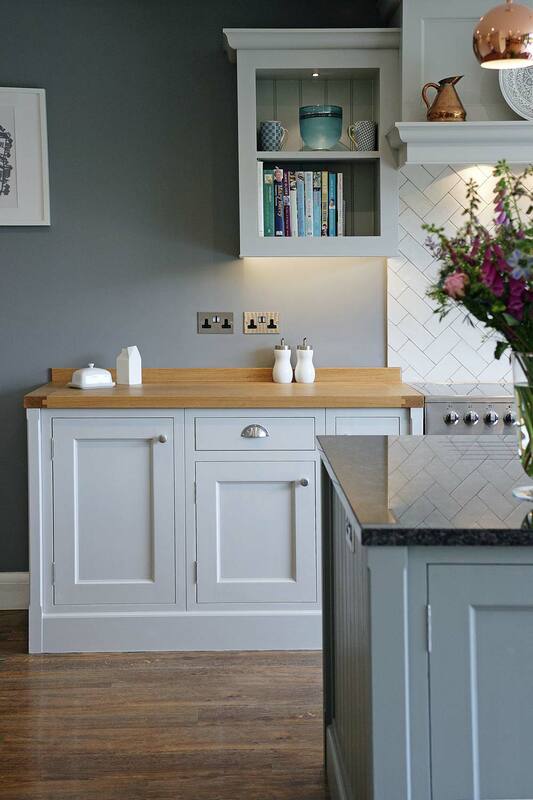 Pavillion Grey and Plummet paint colours for a strikingly modern feel.